Asser International Sports Law Blog | Overdue payables in action: Reviewing two years of FIFA jurisprudence on the 12bis procedure – Part 2. By Frans M. de Weger and Frank John Vrolijk. The possibility to impose sanctions under article 12bis constitutes one of the pillars of the 12bis procedure. Pursuant to Article 12bis of the RSTP, edition 2016, the DRC and the PSC may impose a sanction on a club if the club is found to have delayed a due payment for more than 30 days without a prima facie contractual basis and the creditor have put the debtor club in default in writing, granting a deadline of at least 10 days. The jurisprudence in relation to Article 12bis also shows that sanctions are imposed ex officio by the DRC or the PSC and not per request of the claimant. 4. a ban from registering any new players, either nationally or internationally, for one or two entire and consecutive registration periods (hereinafter: “the registration ban”). Based on the wording of Article 12bis, i.e. the use of the word ‘may’, it is left to the discretionary power of the DRC and the PSC to decide whether or not to impose a sanction on the debtor club. However, this discretionary power has never been used in favour of a defendant in all the published DRC or PSC decisions under review. In other words, a sanction, going from a warning to a transfer ban of two entire and consecutive periods, was imposed in all decisions. Despite the fact that it follows from Article 12bis(4) that sanctions may apply cumulatively, this option was only used once. It seems that it will come into play only if the debtor club did not comply with its obligations on multiple occasions and only after the maximum sanction of a transfer ban of two entire and consecutive periods has been imposed on the debtor club. The discretionary power under Article 12bis is different from the sanction of a transfer ban as laid down in Article 17(4) of the RSTP. The latter article states that the competent body ‘shall’ sanction, as opposed to Article 12bis, which states that the competent body ‘may’ sanction. 2. it is not a repeated offence. It is however important to note that the height of the outstanding amount of overdue payables is not correlated with the imposition of a warning. The outstanding overdue payables in the 24 proceedings ending with a warning range from an overdue payable of 3,468 Euros (hereinafter: “EUR”) in two decisions of the DRC, up to an amount of EUR 1,000,000 in a PSC decision. The jurisprudence also points out that the debtor club must reply to the claim in order to contain the possible sanction to a warning. Although several decisions refer to the fact that the club should have “duly replied to the claim”, other decisions do not mention “duly” and these consider it enough that the club only “replied to the claim”. Despite this difference in terminology, we conclude that almost any form of reply provided by the debtor club will be considered sufficient. In fact, no distinctive value is ascribed to the word “duly”. The respondents gave divergent reasons for their non-compliances. One club contested the applicability of Article 12bis, other clubs stated to have administrative difficulties or financial difficulties, whereas others claimed that they were communicating with the player’s agent to settle the matter amicably. Apart from the claim related to the applicability of Article 12bis, which was rejected because the claimant lodged his claim after the entry into force of Article 12bis RSTP, all the arguments raised were not considered valid reasons for non-payment of the outstanding monies. Although the jurisprudence does not give an exact answer to the question what would be considered “a prima facie contractual basis”, it can be concluded that the aforementioned circumstances did not fulfil these criteria. Notwithstanding the above, the condition of having “(duly) replied to the claim” has recently been tackled by the DRC. In its decision of 23 May 2016, the respondent replied to the claim per e-mail. The DRC considered this reply not to be sufficient to fulfil the standards of “(duly) replied to the claim” because “the Respondent only replied to the claim by e-mail and e-mail petitions shall have no legal effect in accordance with art. 16 par. 3 of the Procedural Rules.” In other words, the respondent should have replied by fax or ordinary mail. Additionally and in line with the above, the DRC or the PSC has only imposed a warning when there was no repeated offence. In other words, the respondent in a 12bis procedure must actually be considered as a “first offender” in order to (only) get a warning. From the 24 decisions in which a warning has been imposed, there is only one not fulfilling the abovementioned two conditions. In this (PSC) decision, the respondent party did not reply to the claim. However, during the course of the proceedings the respondent made a partial payment to the claimant. Therefore, the PSC decided to impose a warning on the respondent, irrespective of the absence of a reply. In light of this decision, it must be kept in mind that making a partial payment during the course of the 12bis proceedings might alleviate the duty to ‘reply to the claim’. Only two of the decisions published by FIFA contain a reprimand. One decision was issued by the DRC, the other one by the PSC. In the DRC decision, overdue payables of EUR 40,000 were due to the claimant based on a termination agreement. In its reply to the claim, the respondent admitted that it had to pay compensation to the claimant, but only until he would have found a new club. The respondent considered that, since the claimant found a new club immediately after the agreed termination, no compensation was due. Notwithstanding this, the DRC judge considered that there was no documentary evidence with regard to the argument of the respondent. Therefore, the DRC judge considered that the respondent had delayed a due payment for more than 30 days without a prima facie contractual basis. Based on the foregoing paragraph and the fact that the respondent replied to the claim, one would think that a sanction in the form of a warning should be imposed on the respondent. However, the DRC highlighted that the DRC judge had already imposed a warning on the respondent previously. Thus, it referred to Article 12bis(6), which establishes that “a repeated offence will be considered as an aggravating circumstance and lead to more severe penalty”. Therefore, a reprimand was imposed. In a similar decision of 26 May 2016, the PSC also imposed a reprimand. In conclusion, one could say that a reprimand is considered as a severe sanction and thus will not be imposed on a first offender. Although there have only been two (published) decisions of FIFA wherein a reprimand was actually imposed, one can expect that a reprimand will be imposed on a repeated offender who replied to the claim in his first and second 12bis procedure. The crucial advice that can be derived from the above analysis is that a respondent club should always reply in a 12bis procedure, because the warning and reprimand do not bring any financial or sportive consequences with it, contrary to the fine and the registration ban, which will be discussed hereunder. The only sanction that leads to direct financial consequences is the fine. The fine is a sanction that can be imposed in a 12bis procedure and needs to be paid by the debtor club to FIFA. As opposed to the warning and the reprimand, the jurisprudence shows that a fine will be imposed in the event that the respondent did not reply to the claim. 66 out of the 99 DRC and 29 out of the 38 PSC decisions involved a fine. After analysing the jurisprudence, we conclude that it is necessary to distinguish between a fine in a DRC procedure and a PSC procedure. In fact, the amount of the outstanding overdue payables differs considerably in both procedures. Additionally, the level of the corresponding fines in DRC procedures compared to the PSC procedures are different. The amounts of overdue payables in a 12bis procedure before the PSC are structurally higher than the amounts in a 12bis procedure before the DRC, while the amount of the fine is not structurally higher in a PSC procedure. Due to these differences between the DRC and the PSC, we decided to discuss the use of fines in the DRC and PSC procedures separately. Our aim was to determine how the judges define the level of the fine in a 12bis procedure. To do so, we use the so-called “category method”, which will be explained below. After analysing the decisions of FIFA in which fines were imposed, it seems that they do not correspond to a percentage of the outstanding overdue payables. Instead, the level of a fine can be determined by means of several categories of fines. At least four general conclusions can be derived from the jurisprudence regarding the level of the fine for a defaulting club. Firstly, the level of the fine imposed by the DRC increases when the overdue payable is higher. Secondly, there are three categories of fines: i) a fine for the club which did not reply to the claim and is considered to be a first offender (First Category Offence); ii) a fine for a club which did not reply to the claim and has been found by the DRC to have neglected its contractual obligations in the recent past (not being a 12bis procedure) (Second Category Offence) ; and iii) a fine for a club which did not reply to the claim and has been sanctioned in a 12bis procedure previously (Third Category Offence). Thirdly, the fine for a respondent club in a Second Category Offence is double the size of the fine for a respondent club in a First Category Offence. Finally, the fine in a Third Category Offence is three times the size of the given fine in a First Category Offence. With regard to the PSC decisions, the authors tried to use the same method as for the DRC procedures. At first sight, it looks as if the PSC and the DRC use the same ranges for fines. However, the PSC decisions seem more arbitrary. It is therefore more difficult to draw definitive conclusions in relation to the PSC 12bis decisions. For example, in the decision of 12 October 2015, decided by a PSC’s Single Judge, a fine of CHF 15,000 was handed out to a first offender club with an overdue payable of EUR 1 million. However, one can doubt whether this fine can be considered appropriate. In fact, a first offender club in another decision received the same fine, although with smaller overdue payables of EUR 200,000. Another striking decision involves a fine of CHF 7,500 based on an overdue payable of USD 50,000. In a comparable situation before the DRC, also with regard to a first offender, the club was sanctioned with a fine of CHF 5,000. It is also remarkable that (only) in some cases the single judges did motivate the higher fines by mentioning the criteria for a Second- or Third Category Offence. After analysing these decisions more closely, one notices that two of the three Single Judges always mention the criteria of the Second- or Third Category Offence, while one only did it once (out of his six decisions). Because of this absence of motivation, one cannot definitely conclude whether these decisions fall into the Second- and Third Category Offence as defined in the context of the DRC’s jurisprudence. However, looking past these (minor) inconsistencies, we believe that most of the PSC decisions do fall within the ranges set out in Figure 2. Additionally, one starts to see emerging an additional category, which is the fine of CHF 25,000. Figure 3 provides an overview of the height of the fines in relation to the various overdue payables in PSC proceedings. The toughest sanction that can be imposed by the DRC or the PSC in a 12bis procedure is the ban from registering any new players, either nationally or internationally, for one or two entire and consecutive registration periods. Contrary to the transfer ban enshrined in Article 17(4) of the RSTP, in a 12bis procedure a club can be banned from registering new players for the next one or two registration periods. This ban will be imposed if the amount due to the claimant is not paid by the respondent within 30 days as from the date of notification of an Article 12bis decision. Out of the 137 published 12bis decisions, 16 decisions (15 from the DRC, 1 from the PSC) indicated that a ban will be imposed if the amount due to the respective claimant is not paid by the respondent within 30 days as from the date of notification of the decision. Moreover, 13 decisions refer to a ban for one entire registration period. In three decisions the DRC decided to threaten a ban for the next entire two registration periods. What is striking is that in all decisions the respondents did not only not reply to the claim (or only after the investigation phase was closed which is equivalent to not replying), but more importantly the respondents were found to have breached their financial obligations several times before. Either, the defaulting clubs were found to have delayed several outstanding payments for more than 30 days, or the respondent had (also) been found by the DRC as well as the DRC judge responsible for not complying with its financial obligations on various other recent occasions. We also encountered cases in which both conditions were met. Another striking element of the decisions in 12bis procedures is that the amount due is not deemed relevant to justify the imposition of a registration ban on the debtor club. In fact, a registration ban has been imposed with regard to an overdue payable of EUR 7,500, but also regarding an overdue payable of EUR 250,000. 2) the debtor club has been found by the DRC or the PSC to have delayed a due payment for more than 30 days without a prima facie contractual basis twice, as a result of which a fine was imposed in at least one of the decisions. Put differently: the jurisprudence of the DRC and the PSC clearly shows a debtor club systematically receiving a registration ban for one entire period if the club had neglected its financial obligation towards players in more than one earlier decision by the DRC or the PSC, and if in these proceedings the respondent failed to reply to the claim and therefore received a fine from FIFA. What remains not entirely clear is what the DRC and PSC exactly mean by “various occasions in the recent past”. This could also refer to convictions in employment-related matters prior to the introduction of the 12bis procedure on 1 April 2015. In the only PSC decision wherein a registration ban for one entire period was imposed, the debtor club had only once been found by the PSC to have delayed a due payment for more than 30 days without a prima facie contractual basis, as a result of which a fine was imposed. The decision of the PSC did not mention that the respondent was responsible for not complying with its financial obligations towards players on various occasions in the recent past. This might suggest a differing interpretation between the DRC and the PSC. The two years of jurisprudence further show that a registration ban for two entire and consecutive periods will be imposed when the debtor club has been found by the DRC or the PSC to have delayed a due payment for more than 30 days without a prima facie contractual basis twice, as a result of which fines (or even a registration ban of 1 period) has been imposed and the debtor club has been found by the DRC to be responsible for not complying with its financial obligations towards players on various occasions in the recent past. The 12bis procedure can be considered as a powerful instrument for swift dispute resolution, which could be of great benefit to players and clubs. FIFA has put in place a fast track procedure and a strong enforcement system with respect to overdue payables by defaulting clubs towards players and clubs. So far, FIFA has contributed to the resolution of international disputes in 12bis procedures in a very efficient manner leading to a shortened timeframe for decisions, with an average duration of approximately two months. The sanctioning power of FIFA is one of the fundamental strengths of the 12bis procedure. In all the 137 published decisions of the DRC and the PSC, a sanction was imposed on the defaulting clubs, varying from a warning to a registration ban. From the FIFA decisions, in which fines were imposed on defaulting clubs, it can also be derived that the level of the fine is determined by taking into consideration the earlier-mentioned three categories of wrongdoings (First, Second and Third Category Offence), subject to an approximate range in relation to the outstanding amount due. However, the 12bis decisions of the DRC so far are more systematic and predictable than the PSC’s. Finally, the heaviest sanction, the transfer ban, will only be imposed in case the defaulting club not only did not reply to the claims, but also breached its financial obligations several times in the past. Fortunately, FIFA does not shy away from using sanctions, but only clubs that went too far will face the more severe ones. Although the conclusions drawn by the authors can help practitioners confronted to 12bis procedures, they are based only on the published jurisprudence between 1 April 2015 and 1 April 2017. It must be taken into account that FIFA committees might change their interpretation and implementation practice regarding the 12bis procedure in the future. However, the jurisprudence of FIFA committees reviewed and analysed in this article can at least shed some light on the functioning of FIFA’s 12bis procedure, and in particular on its effective sanctioning regime, over the last two years. Art. 12bis(2) RSTP, edition 2016. Art. 12bis(3) RSTP, edition 2016. Art. 12bis(4) RSTP, edition 2016. Art. 12bis(2) RSTP and Art. 12bis(4) RSTP, edition 2016. DRC 14 November 2016, no. op11161545-E. For a more detailed analysis of DRC decisions, the authors make reference to this more extensive ISLJ article. Although it follows however from a literal interpretation of Art. 17(4) RSTP that it is a duty of the competent body to impose sporting sanctions whenever a club is found to have breached an employment contract during the protected period, according to the CAS there is a well-accepted and consistent practice of the FIFA DRC not to apply automatically a sanction but to leave it to its free discretion to evaluate the particular and specific circumstances on a case by case basis. See CAS 2014/A/3765 Club X. v. D. & FIFA, award of 5 June 2015. See inter alia DRC 16 February 2016, no. op02161765. DRC 28 January 2016, no. op1501703 and DRC 28 January 2016, no. op01161539. See PSC 7 May 2015, no. op0515353. Even EUR 50,000 higher in PSC 2 June 2016, no. op0616540. The highest outstanding payable in a DRC decision is EUR 950,000. See DRC 11 September 2015, no. 09151030. See inter alia DRC 28 January 2016, no. op01161539. See inter alia DRC 13 January 2016, no. op0116826. DRC 15 October 2015, no. op1015914. See also CAS 2015/A/4153 Al-Gharafa SC v. Nicolas Fedor & FIFA, award of 9 May 2016 and CAS 2016/A/4387 Delfino Pescara 1936 v. Royal Standard Liège & FIFA, award of 8 July 2016. PSC 9 July 2015, no. op0715599 and PSC 7 May 2015, no. op0515353. DRC 13 January 2016, no. op0116826, DRC 25 April 2016, no. op0416115, DRC 7 July 2016, no. op0716778, PSC 2 June 2016, no. op0616540 and PSC 13 September 2016, no. op09161090. DRC 16 February 2016, no. op02161765 and DRC 15 March 2016, no. op0316303. Also confirmed in CAS 2016/A/4387 Delfino Pescara 1936 v. Royal Standard Liège & FIFA, award of 8 July 2016. DRC 23 May 2016, no. op0516571. The DRC can be quite sceptical towards information that is contained in emails. See inter alia DRC 31 July 2013, no. 07133206. PSC 3 June 2015, no. op0615400. For a more detailed analysis of the DRC decision, see our pending ISLJ article. However, some decisions – wherein a heavy sanction such as a transfer ban was issued – refer to an earlier conviction of the debtor club wherein a reprimand was given. See inter alia DRC 26 October 2016, no. op10160931-E.
 See DRC 26 November 2015, no. op11151356. See PSC 26 May 2016, no. op05160482. DRC 26 November 2015, no. op11151356. DRC 26 November 2015, no. op11151356, paras. (II) 7 and 8. DRC 26 November 2015, no. op11151356, para. (II) 17. DRC 26 November 2015, no. op11151356, para. (II) 18. For a more detailed analysis of this decision, see our pending ISLJ article. For a more detailed analysis of DRC decisions in this regard, see our pending ISLJ article. Cf. DRC 28 January 2016, no. op01161541 and PSC 12 October 2015, no. op10151035. In the DRC decision, the debtor club had an overdue payable of USD 100,807. In this case, the DRC imposed a fine of CHF 15,000. In the PSC decision, the debtor club had an overdue payable of EUR 1 million. However, the PSC imposed the same fine of CHF 15,000. For a more detailed analysis of the “percentage method”, see our pending ISLJ article. If these criteria were cumulatively met, the jurisprudence points out that a fine was given by FIFA to a club in a 12bis procedure. A First Category Offence was also given to a debtor club who responded to the claim, but was already sanctioned with a warning and reprimand in earlier 12bis procedures. In that case, the warning and the reprimand sanctions were exhausted and, thus, a fine was ordered by the DRC. See inter alia DRC 18 May 2016, no. op0516646. For a more detailed analysis of the DRC decisions, see our pending ISLJ article. See inter alia DRC 3 July 2015, no. op0715641. For a more detailed analysis of the DRC decision, t see our pending ISLJ article. For a more detailed illustration of DRC decisions, see our pending ISLJ article. 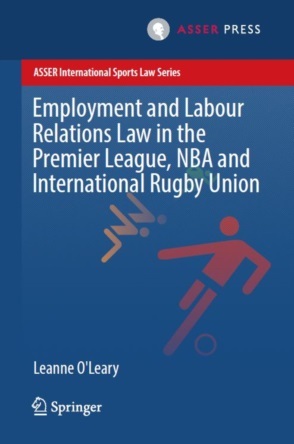 This range differs from the range the authors have set in a previous article (see Global Sports Law and Taxation Reports, ‘Overview of the jurisprudence of the FIFA DRC in 12bis procedures’, March 2017). This difference is based on recently published jurisprudence: see DRC 28 February 2017, no. op02172117-E.
 DRC 11 September 2015, no. 09151030. For a more detailed analysis of DRC decisions, see our pending ISLJ article. PSC 12 October 2015, no. op10151035. PSC 12 October 2015, no. op10151010. Even more striking is the fact that this decision was dealt with on the same date as the aforementioned decision in footnote 61 above, by the same Single Judge. Only two weeks later, in PSC 29 October 2015, no. op10151014, the PSC imposed a fine of CHF 25,000 with regard to an overdue payable of EUR 590,000 to a first offender club. PSC 9 July 2015, no. op0715584. DRC 5 October 2015, no. op10151049. Only PSC 12 October 2015, no. op10151035 seems to be the odd one out. This border is brought to 250,000, based on PSC 16 November 2015, no. op11151300, wherein a fine based on a Third Category Offence of CHF 45,000 was imposed with an overdue payable of USD 250,000, which sets the border at approximately 250,000. This border is brought to 500,000, based on PSC 25 February 2016, no. op0216170, wherein a fine of CHF 20,000 based on a First Category Offence was imposed with an overdue payable of EUR 450,093, which sets the border at approximately 500,000. This border is brought to 750,000, based on the decision PSC 29 June 2016, no. op0616676, wherein a fine of CHF 30,000 based on a First Category Offence was imposed with an overdue payable of EUR 750,000. In a decision with an overdue payable of EUR 675,000 (PSC 24 November 2015, no. op11151385), a fine of CHF 50,000 based on a Second Category Offence was given, which sets the border at approximately 750,000. At least until an overdue payable of USD 1,367,500 falls within this category; see PSC 21 August 2015, no. op0815530. See inter alia DRC 8 September 2016, no. op0916308. However, this may differ in a situation where sanctions are imposed cumulatively. See DRC 8 September 2016, no. op0916308 and DRC 15 July 2016, no. op0716703. In the context of a retroactive application of Article 12bis, as discussed in the context of the CAS award of 17 June 2016 (see CAS 2015/A/4310 Al Hilal Saudi Club v. Abdou Kader Mangane, award of 17 June 2016), it can be questioned whether the decisions of FIFA bodies prior to the date of 1 April 2015 (which per definition were decisions in ‘regular’ FIFA proceedings) can be taken into account and held against the club in default. For a more detailed analysis of this legal issue of retro-active application, see our pending ISLJ article. 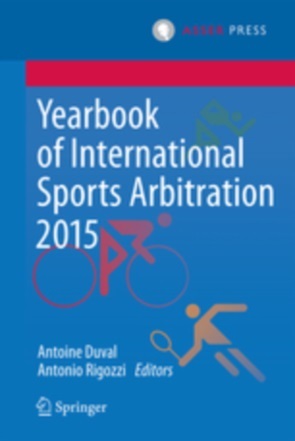 See also Lombardi, P., Worlds Sports Law Report, September 2016, “Article 12bis of the FIFA Regulations: 18 months on”, p. 5. DRC 26 May 2016, no. op0516585. See inter alia DRC 8 September 2016, no. op0916308. See inter alia DRC 27 October 2015, no. op10151248, wherein the debtor club had received a fine in both earlier decisions. In DRC 17 October 2016, no. op10161355-E, the debtor club had only received a fine in the second decision. DRC 29 July 2016, no. op0716699. The previous decision, wherein a transfer ban for one entire period was imposed, is also published: DRC 4 February 2016, no. op02161733. See inter alia DRC 13 September 2016, no. op09161247.